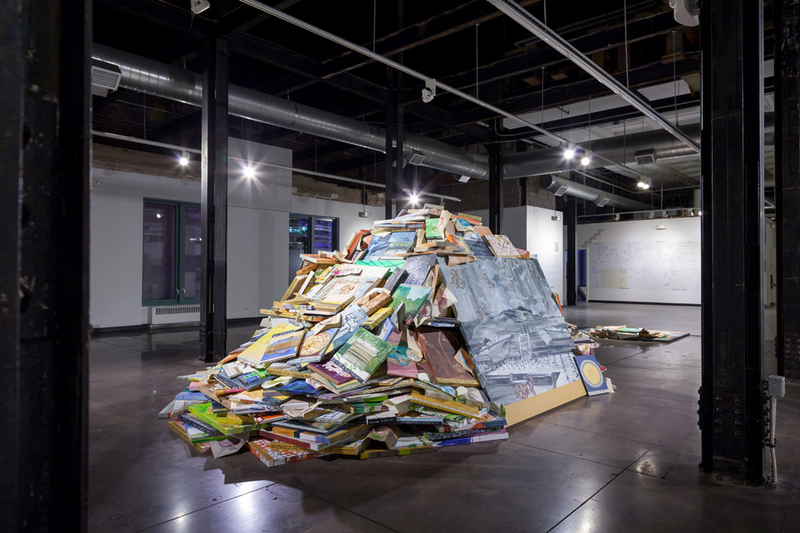 Vis-à-Vis is an exhibition featuring the works of four artists from Denver and Mexico City who participated in the 2015 Biennial Ambassadors Program, a project established to cultivate creative links and deepen artistic dialogue across the Americas. Artists include Melissa Furness (Denver), Matt Scobey (Denver), Cristóbal Gracia (Mexico City), and Daniel Monroy Cuevas (Mexico City). Artists were publicly nominated across the two cities, shortlisted by two committees of curators and artists and selected by program curators Adam Gildar and Carla Herrera-Prats. In a series of 10-week residency exchanges, the Ambassador artists traded cities working with host arts organizations ArtPlant in Denver and SOMA in Mexico City to explore each other’s communities, develop new work, and immerse themselves in energetic local art scenes. Vis-à-Vis—the idea of correspondence and counterpart, understanding one thing by way of another—captures the nature of the artists’ experiences as each encountered new versions of themselves and their artistic practices, familiar but displaced. 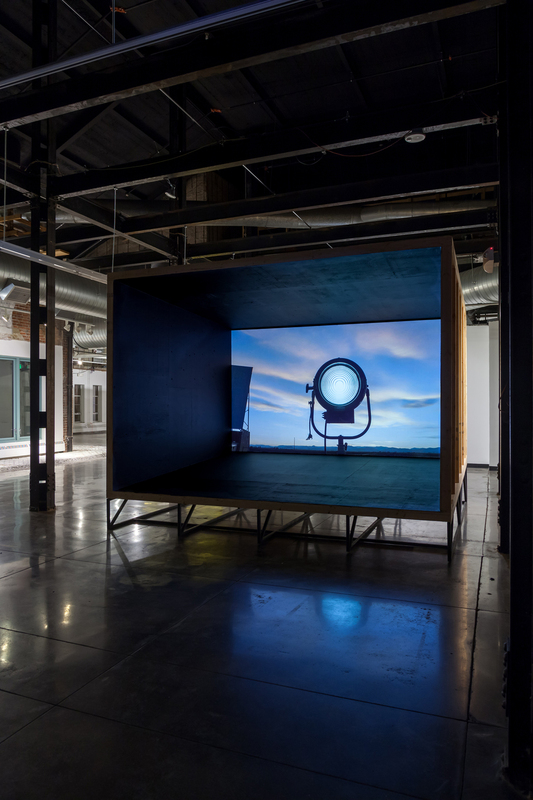 Daniel Monroy Cuevas produces site-specific video installations in which he manipulates the interplay between the reality of the physical space and the fiction of the projected image. His work provides the viewer with an awareness of movement, space, light and time that disrupts traditional notions of sequence and narrative while still referencing their importance as the usual mode within filmic representation. Structurally elegant and filled with visual wonder, his compositions challenge then unpack their own means of production, most often revealed to be a lyrically simple mechanism. Shot at an abandoned drive-in movie theater in Colorado’s historically significant San Luis Valley, Monroy’s new video installation describes a series of five obstructions encountered in a changing landscape – a vast agricultural expanse that once fell along the border between the US and Mexico. 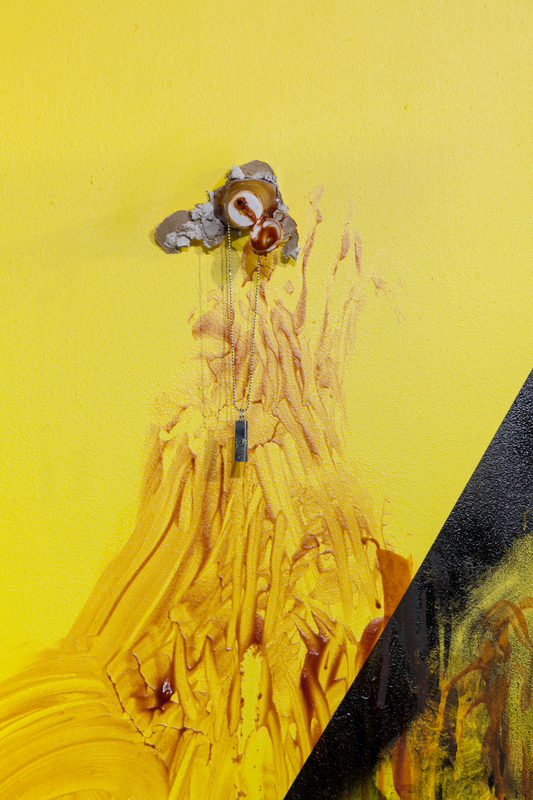 These obstructions arrive in the form of paired objects – one old, one new – mounted atop a tripod. Monroy’s gracefully choreographed camera syncs to each object like a captured satellite. But one kind of tracking shot becomes another, and the parallel images of the five objects (megaphones, binoculars, spotlights, mirrors, and rifles) forms a historical link in which the tools of the cinema are also the tools of surveillance. Changing distances and light become devices for both revelation and mystery as these stand-ins for the cinematic eye become the subjects of intrigue – characters gliding in and out of focus within the picture. Blending the sublime and ominous, Monroy points at the parallels between the romanticism of the cinema and the impossibility of fixing a permanent frame of reference: be it a fiction on screen or a boundary between countries. altepetl, 6 Abril - 24 mayo V.F.G.R. Over the course of her residency in Mexico, Melissa Furness experimented with an accelerated hand to produce over 300 paintings - which she defines as provisional - to fix her experiences. These canvases that depict the passage of history, from the epic to the mundane, interweave dramatic imagery culled from research into Aztec and Catholic Mexican mythologies as well as text from the Furness’s daily diary-like observations. Not stopping there, the artist decided to undermine the supremacy of the painted image by presenting these expressive works as the raw building materials for a large sculptural mound. Melissa Furness is a painter whose densely layered works graft together a multiverse of disparate timescales, symbols, and fractured storylines. Over the course of her 10-week residency in Mexico, Furness experimented with an accelerated hand to produce over 300 paintings – which she defines as provisional – to fix her impressions. These canvases that depict the passage of history, from the epic to the mundane, interweave dramatic imagery culled from research into Aztec and Catholic mythologies in Mexico with her own diary-like daily experiences. The harried character of the paintings reflect the inherently cursory and frantic nature of any attempt at integration, let alone immersion, during a cultural exchange on a limited timeline. Ironically, Furness’s ticking clock became a valuable processing device that not only inspired a freer style of working, but bypassed self-censorship, so that unfiltered emotions and responses, even self-doubt, are all the more vividly rendered. In presenting this mass of imagery, Furness does away with any precious relationship to the painted image – the historically privileged form of expression in the Global North – using her representations as the raw building materials for a large sculptural mound. Sitting somewhere between an archeological ruin, a trash heap, and an irrevocably shuffled index, the works diagram core artistic struggles, described by Furness as "something of an epic failure… endless attempts at understanding, visual and textual mistranslations, and recordings of awkward interactions as a foreigner." Cristóbal Gracia builds projects offering critical interpretations of power, violence and history that reshape our past and present. Anchoring divergent bodies of work – from bacchanal performances to Babel-like sculptures – is Gracia’s ongoing meditation on monuments and what it means to call something monumental. Departing from the idea of sister cities, Gracia has crafted a project based on Bauhaus artist, designer and architect Herbert Bayer’s nearly identical monuments in Mexico City and Denver. Built of multi-ton blocks of concrete painted canary yellow, both carry the title Articulated Wall and were considered by Bayer to be best viewed from the shifting vantage point of a moving car. In order to further transform the meaning of these massive objects, Gracia staged and documented a series of actions and exchanges involving the monuments: a fry-eating contest in the Denver Design Center parking lot, and, in Mexico City, the production of souvenir Articulated Wall jewelry fabricated by a family who has operated a vending cart at the base of the sculpture for many years. Confusing histories, Gracia replicated and swapped the commemorative plaques at each sculpture’s base photographing these instances for faux commemorative banners. 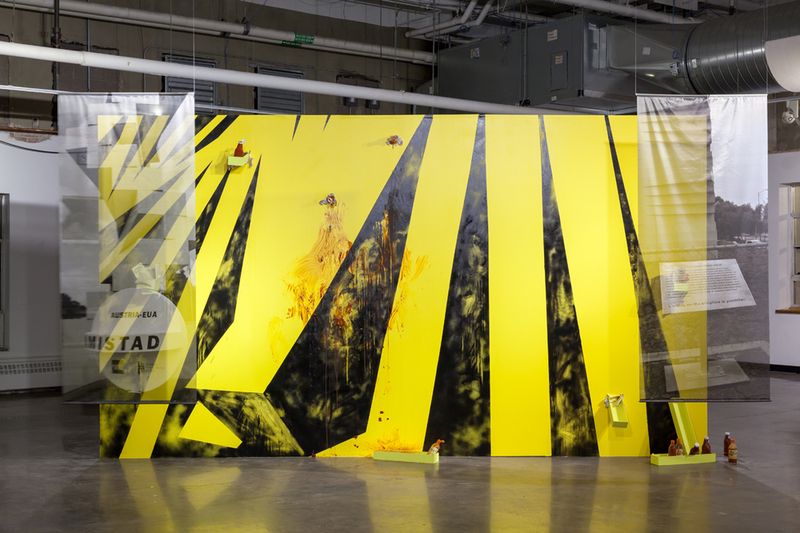 In his installation, also including two interwoven videos and a mural transposing the sculpture into a flattened image, Gracia wryly critiques the openness of abstract ‘ideology-free’ sculpture – the default choice for contemporary public art. Matt Scobey creates sculptural installations and functional objects that invite curious interaction. 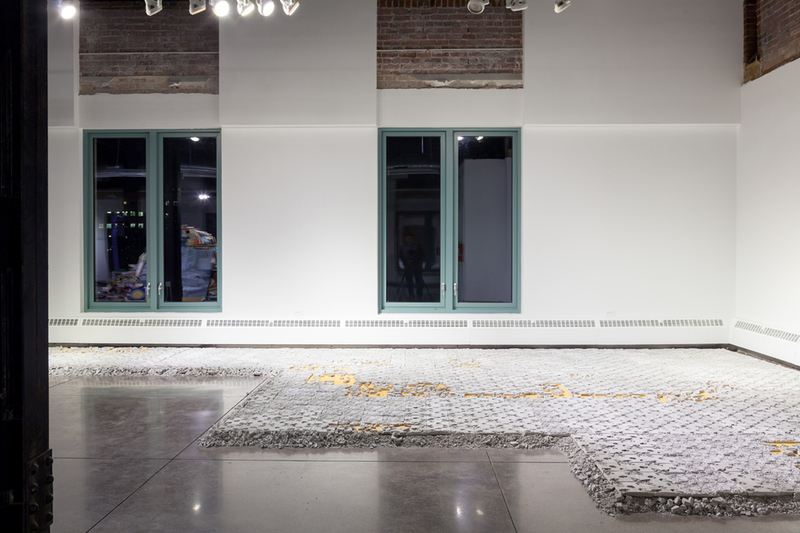 Responsive to public spaces and everyday materials, his work experiments with how to frame the encounter in projects that range from sculptural interventions at the grocery store; to a cardboard living room where museum-goers can relax from social media; to high-design objects reconceived with Arte Povera materials. When confronted with the size and scale of Mexico City, Scobey wanted to articulate the urban landscape as a portrait of time and labor. 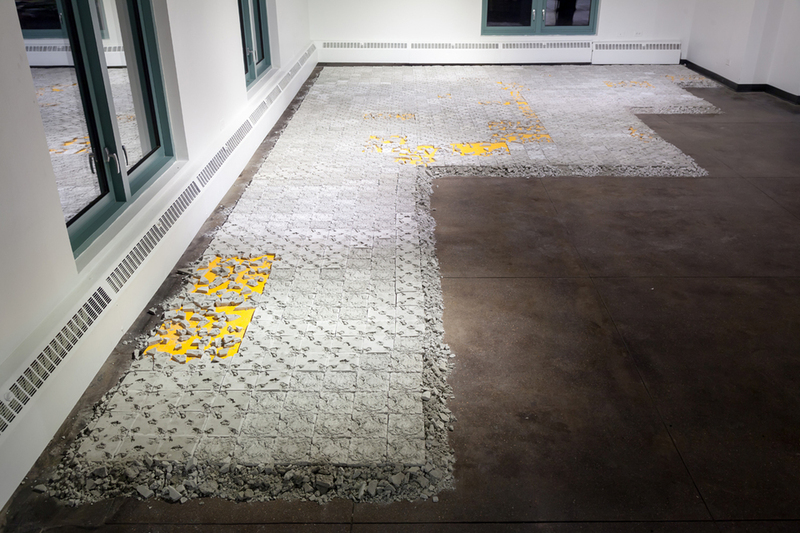 While in residency, he made molds for a series of cast cement tiles based on impressions from plastic bags and castoff objects collected on his walks through the city. 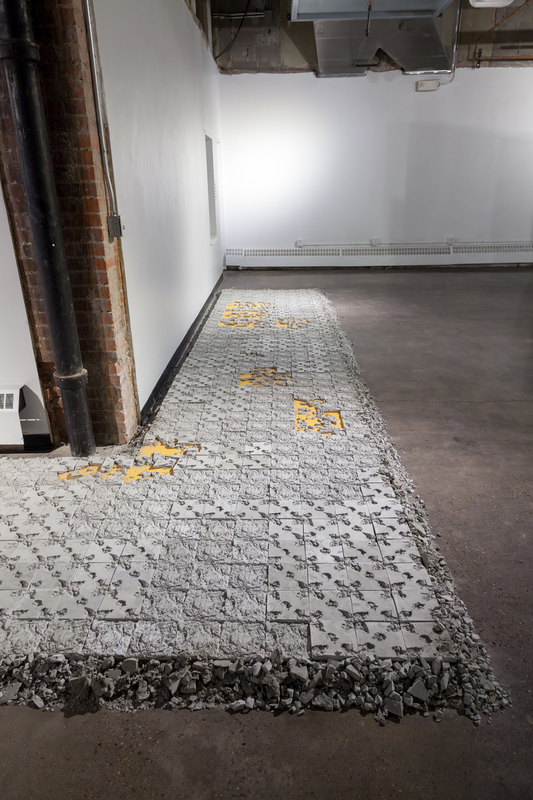 Back in Denver, the artist produced thousands of these tiles to form a slightly elevated floor reflecting the tenuous and privileged position of a foreigner navigating a culture through its modes of exchange. 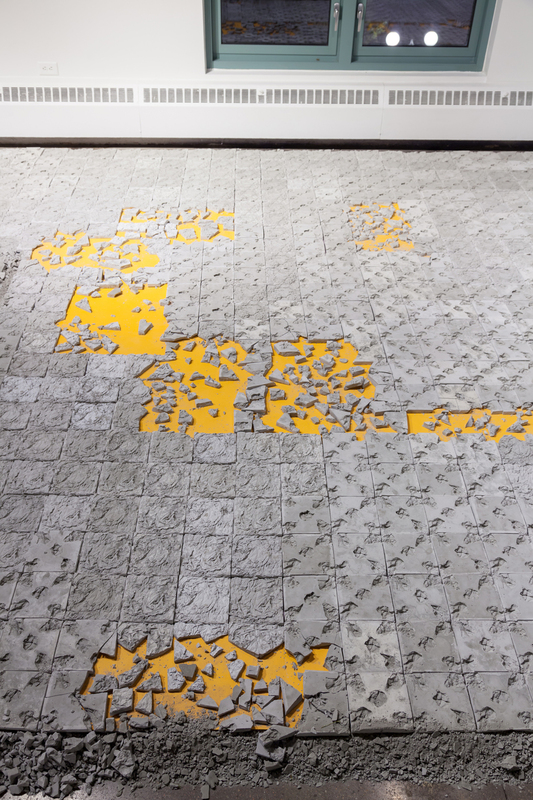 Within the exhibition this tessellating surface calls attention to possibly the most neglected visual space within any building – its corners. Appearing as a cross section from a larger pathway, this platform circumscribed to it surroundings has no defined route, in the same way perhaps that an unfamiliar sidewalk may lead to a destination or a dead end. When viewed from a distance, the formal fragility of its organic garbage-shapes resolves into a modular expanse of Baroque whorls and interlacing lines, as the artist condenses a history of design and conquest – from early Arab influences, through Deco and Modernism – into unassuming forms. Inaugurated in 2010, the Biennial of the Americas stages a bi-annual festival celebrating the ideas, arts and culture of the Western Hemisphere. 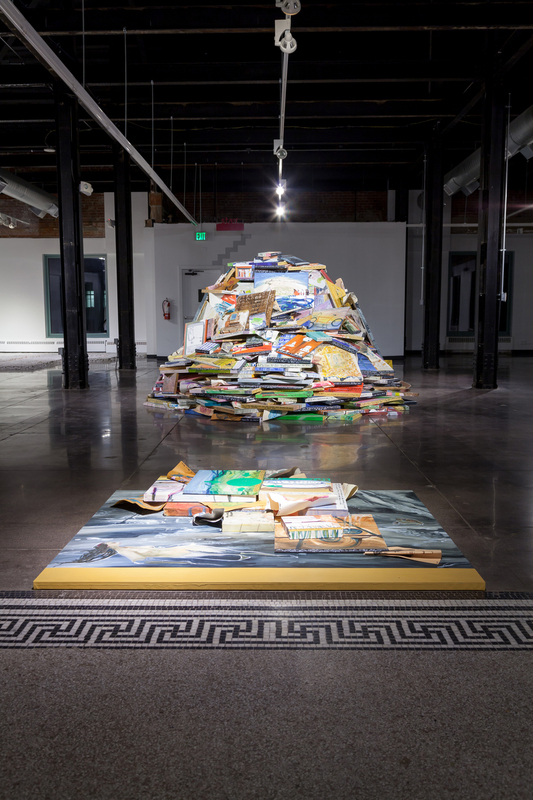 The Biennial of the Americas’ mission is to build meaningful and productive connections in the Americas; elevate Denver as an international city of intellectual and cultural engagement, and catalyze action through dialogue and cultural exchange. The artistic program will consists of exhibitions, public installations and performances. The next Biennial of the Americas will be held July 14 – September 7, 2015. The theme of the 2015 Biennial is Now!. Based in Mexico City SOMA is a space to reflect and discuss about different art events in the national and international level. SOMA’s mission is to encourage dialogue, collaboration and even confrontation between artists and cultural producers from different backgrounds and generations. Through its educational programs, residences and public lectures, in SOMA the aesthetic, political and social consequences of art production are analyzed collectively.